Due to an extremely strong technical environment, municipal yields have experienced a significant decline from the highs of 2018. In addition, credit spreads have tightened to historic lows and offer limited income reward relative to the risk of principal loss. A powerful portfolio management tool that Sage utilizes to optimize risk and reward characteristics is spread valuation analysis. In a historically wide spread environment, Sage would be allocating a larger percentage of the portfolio to lower-rated credits, due to the advantageous income environment. Alternatively, when spreads are near their historic low, Sage will reduce exposure to lower-rated credits to lock in positive returns as well as protect against principal loss. As show in the chart, the additional spread that municipal investors are offered for owning BBB-rated bonds over Single A-rated bonds is currently 70 bps. Although this may seem attractive from a yield/income perspective, the probability of principle loss remains elevated. 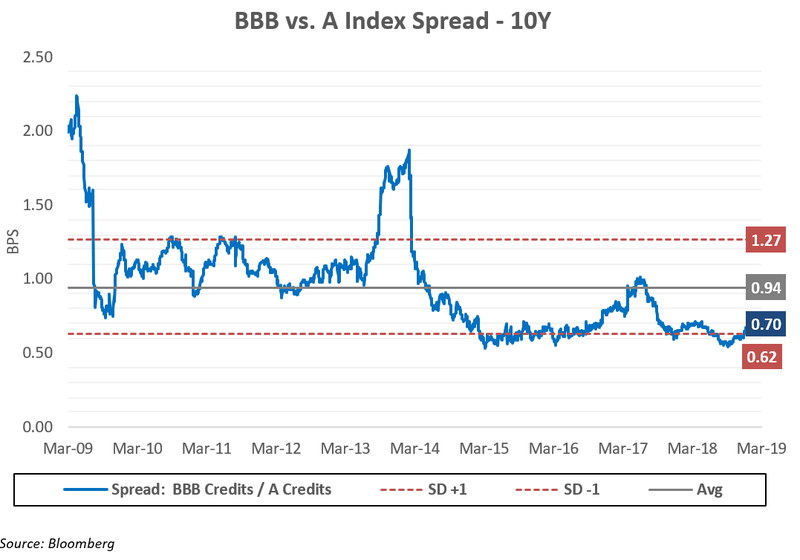 As an example, let’s take a generic BBB-rated bond with a five-year maturity, a 5.00% coupon and a four-year duration. If BBB spreads quickly revert to the 94-basis point average (shown in gray), the principle loss relative to a comparable A-rated bond would almost be 1.00%. However, if BBB bonds trade back towards the upper end of their historic range (127 bps shown in red), the principle loss under this scenario would be approximately 2.25%. 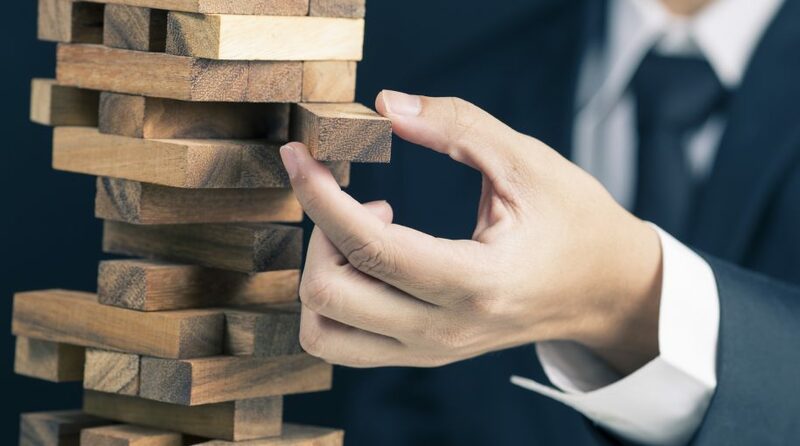 For an investor looking to reduce credit risk and who can accept a slight-to-modest reduction in income, reducing exposure to BBB bonds and swapping into higher-rated credits seems like an advantageous tactical trade until the technical environment normalizes.